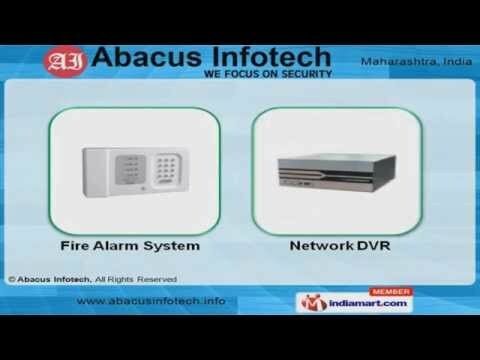 Welcome to Abacus Infotech, we focus on security. Supplier & Distributer of Access & Attendance Systems. The company was established in the year 2002, at Mumbai. Ultra modern infrastructureunits & Wide distribution networks make us unique in the industry. industry leading prices, Advance technical support & Capacious warehousing facilitiesmake us the first choice of our clients. We offer a wide array of Proximity, Face Recognition & Attendance Control Systems. Our Standalone DVR, IP & Analog Cameras are best in the industry amongst others. We offer Network DVR & Fire Alarm Systems that are best in the industry amongstothers. Our Electronic Security & Access Control Systems are superior in performance. We also provide RFID, Software Solutions & Security Accessories that are widelyappreciated in the market. Along with that we offer Smoke Detectors, Fire Detection & Fingerprint Systems that areextremely reliable.